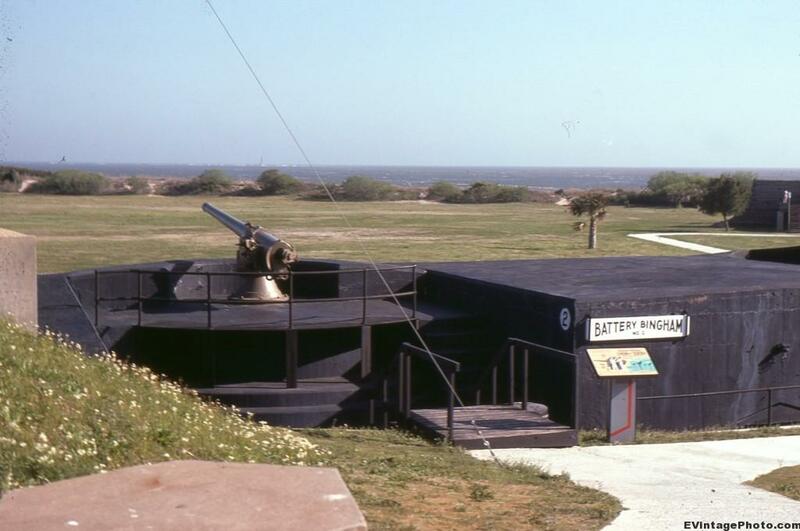 Todays’s vintage photo is Battery Bingham. It’s located at Fort Moultrie in South Carolina. This pictures dates from May 1977. Battery Bingham was built in 1899, and only used for twenty years. But it was not actually named until 1903 in honor of Second Lieutenant Horatio S. Bingham, who was in charge of Calvary during the Fetterman Fight, in the war with Red Cloud. The guns were removed in 1919 and sent over seas on mobile platforms to be used in World War I, but they were never replaced after the war ended.